Get the ultimate oil separator for your 10-14 Shelby GT500 5.4L/5.8L with a UPR Single Valve Plug N Play � Catch Can with clean side separator. You can be sure that no other manufacturer can give you the level of quality or performance of a UPR Pro-Series Catch Can. 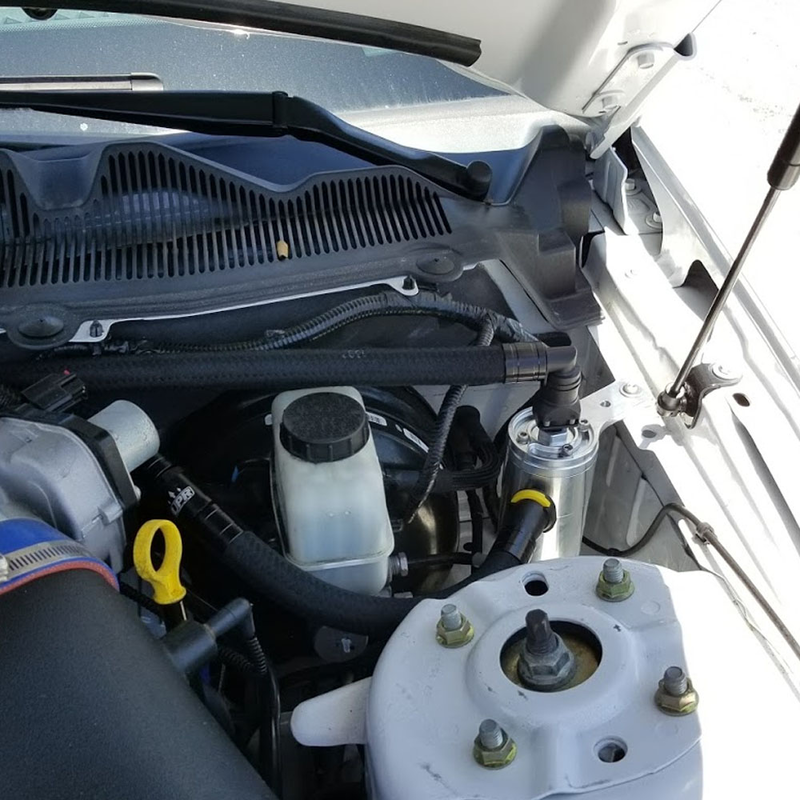 Offering the largest capacity in a compact design to be sure that it can eliminate oil vapors on vehicles that are normally aspirated or power added equipped. Manufactured from Domestic T-6 6061 Aluminum bar stock and finished off using only the best Diamond cutters to exceed your expectations of what a superior product should fit and look like. UPR is the largest aftermarket catch can manufacturer in the country. Continually improving our designs to stay ahead of the competition and give you the cutting edge technology of tomorrow today. We are so confident we offer an unconditional warranty on our products to let you know you can always count on UPRproducts. � Can measures 6" x 2.5"
2010 2011 2012 2013 2014 Ford Mustang Shelby GT500 5.4L 5.8L TVS Supercharged No one else can stack up to the bold clean styling of our aftermarket Billet dress ups, Street Strip & Racing Suspension & Performance Parts for your late model American Muscle Car! 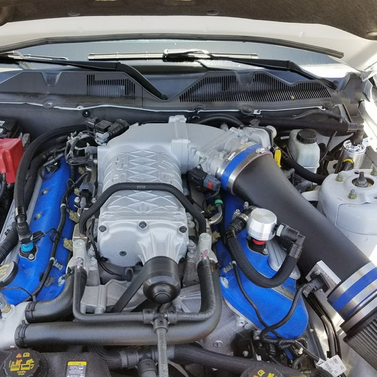 Get the ultimate oil separator for your 10-14 Shelby GT500 5.4L/5.8L with a UPR Single Valve Plug N Play � Catch Can with clean side separator. You can be sure that no other manufacturer can give you the level of quality or performance of a UPR Pro-Series Catch Can. 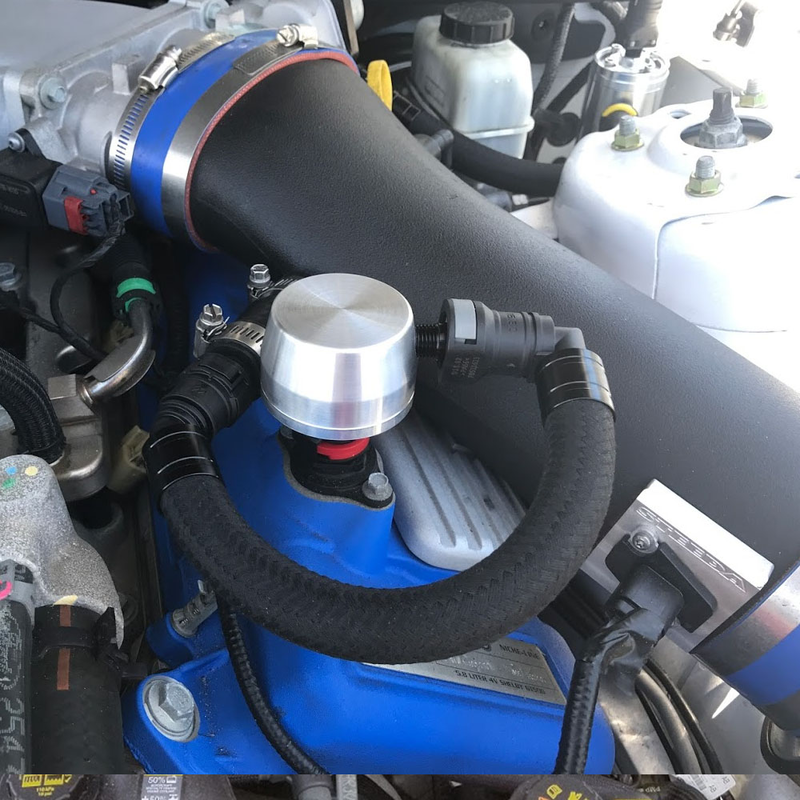 Offering the largest capacity in a compact design to be sure that it can eliminate oil vapors on vehicles that are normally aspirated or power added equipped. Manufactured from Domestic T-6 6061 Aluminum bar stock and finished off using only the best Diamond cutters to exceed your expectations of what a superior product should fit and look like. UPR is the largest aftermarket catch can manufacturer in the country. Continually improving our designs to stay ahead of the competition and give you the cutting edge technology of tomorrow today. We are so confident we offer an unconditional warranty on our products to let you know you can always count on UPRproducts.